Artists: Shiv Kumar Sharma, Vanraj Bhatia, Hariprasad Chaurasia & Bhaskar Chandavarkar. The spectacular beauty of a blooming sun, the calm and peace of and early dawn, ushers in a new beginning and brings with it a unique freshness. The time of dawn is also called Suprabhatam and refers to the dawning of enlightenment. The dawn has such an enchanting appeal that it brings forth hidden desires, calms chaotic thoughts and opens our eyes to the ‘real’ world. In this unique World music album, some of the greatest musicians of Hindustani classical music present melodies with ambient sounds which evoke the freshness and beauty of the dawn. 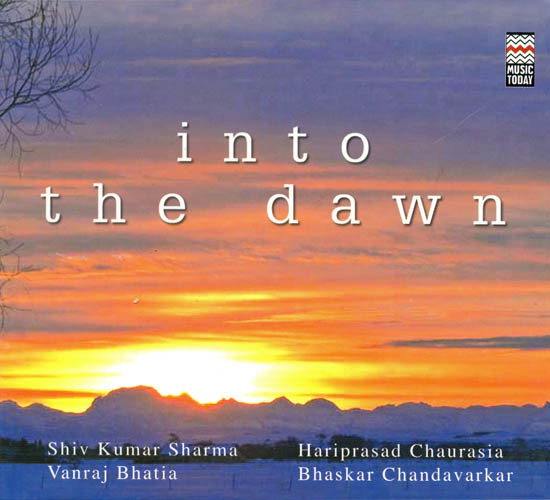 The tracks presented in this album have been specially created to describe the purity and emotions associated with dawn – its fragility, its mystical silence, the evocative feeling of purity and most importantly the beauty of this world as god created it. It seems as if the rising sun sings a celestial melody to the earth.